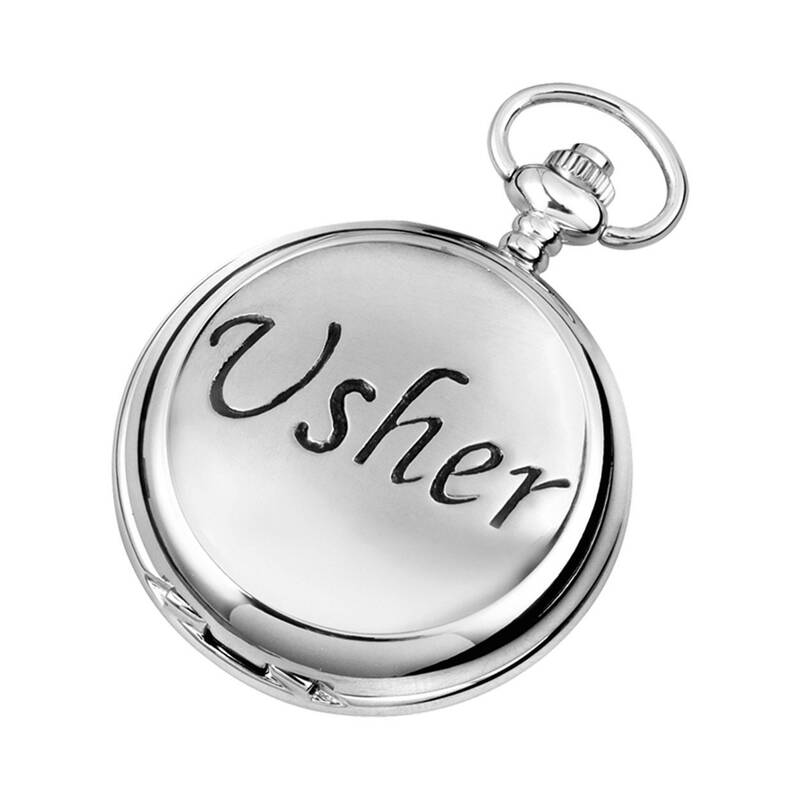 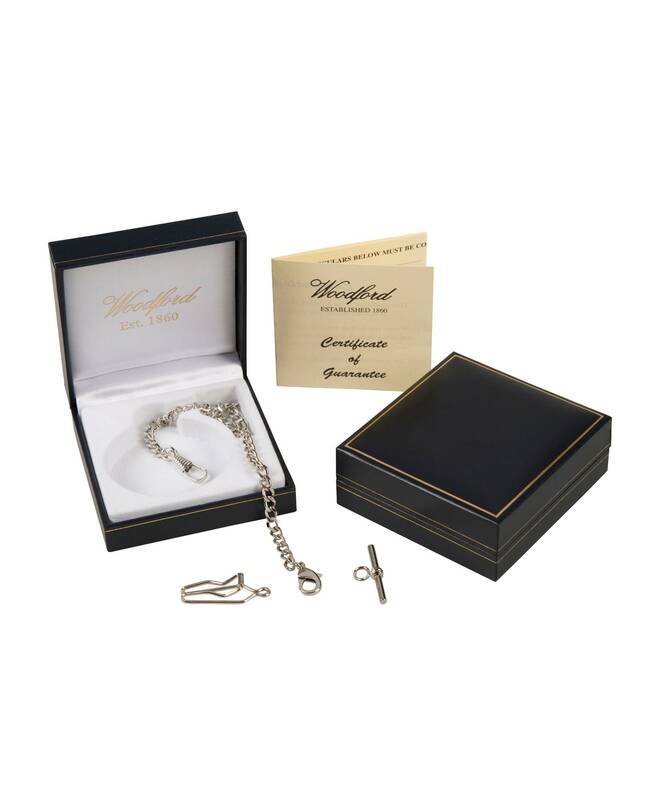 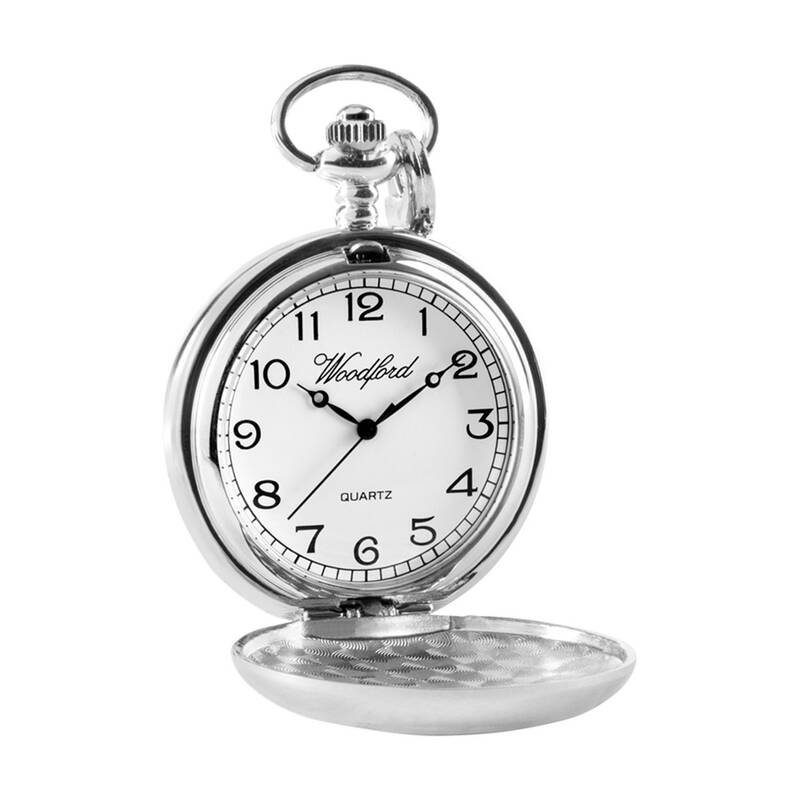 Usher quartz or mechanical movement full hunter chrome cases and pewter front pocket watches. 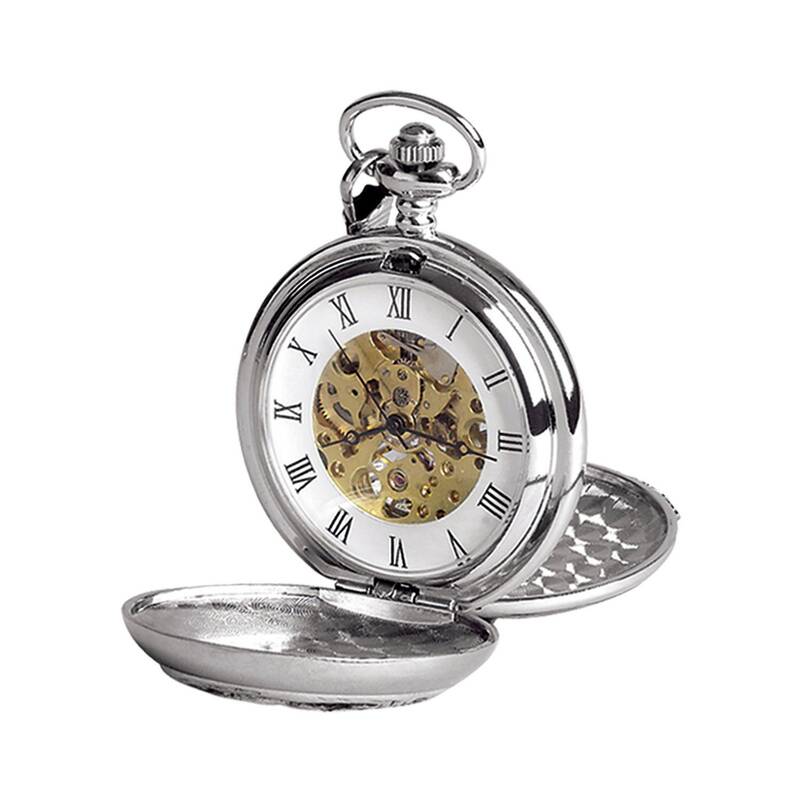 The watches can all be engraved on the reverse with your own personal message up to 50 characters. 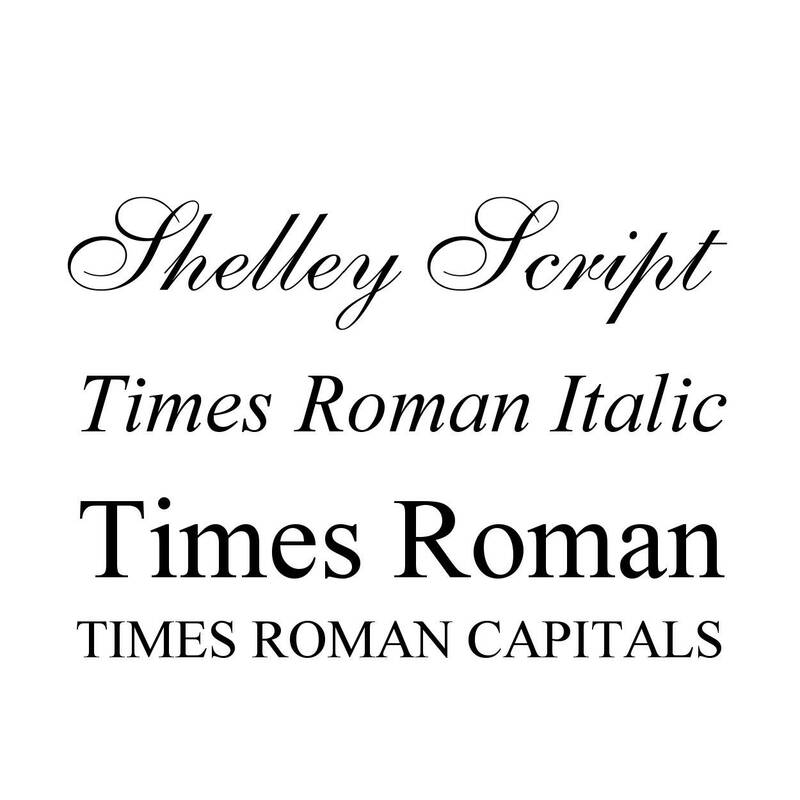 Font Choices - Shelley Script, Times Roman Italic or Times Roman.